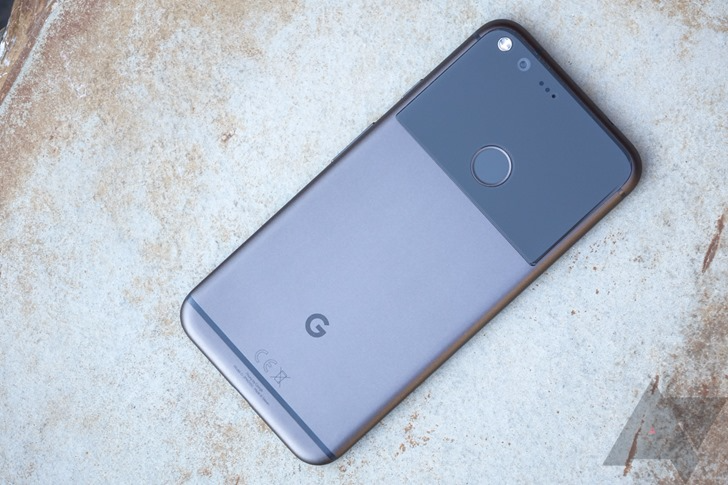 Verizon has posted information regarding the new update for the Pixel and Pixel XL, listing the build number as OPR3.170623.007 and the security patch level as 2017-09-01. That build number is dated June 23rd, according to our calculator. Go figure?! Even so, we've had word from Verizon users who have received this update and with it the September security patch. Left: Incorrectly labeled 7.1.2 for some. Right: Updated Nexus 6P. We've also heard from non-Verizon customers who are getting the OTA, in both the US and the UK, so there's clearly a wider rollout going on. 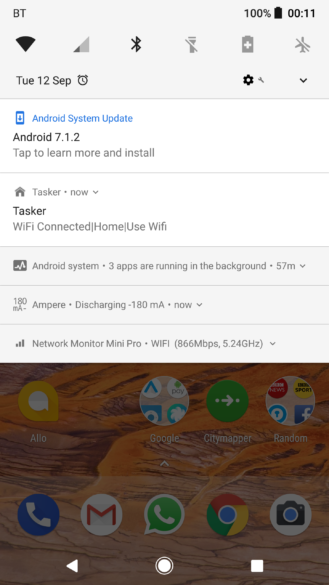 There's still more befuddlement to be had, however, as the update has appeared for some titled 'Android 7.1.2' (above, left). 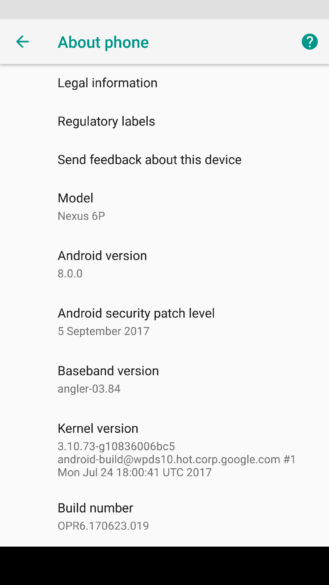 Installing it does actually give you Android 8.0 Oreo with the September security patches, but someone obviously messed up the wording of the update. Nexuses are also getting in on the act, as we've had a confirmation from an up-to-date 6P owner in the UK (above, right). I've not had anything for any of my devices in the UK yet, and the images aren't yet up on the Google Developers site, but hopefully it won't be long now. Let us know in the comments if you're up-to-date yet, or if there's anything else going on that seems a little strange. This has to be one of the most muddled updates in recent memory.